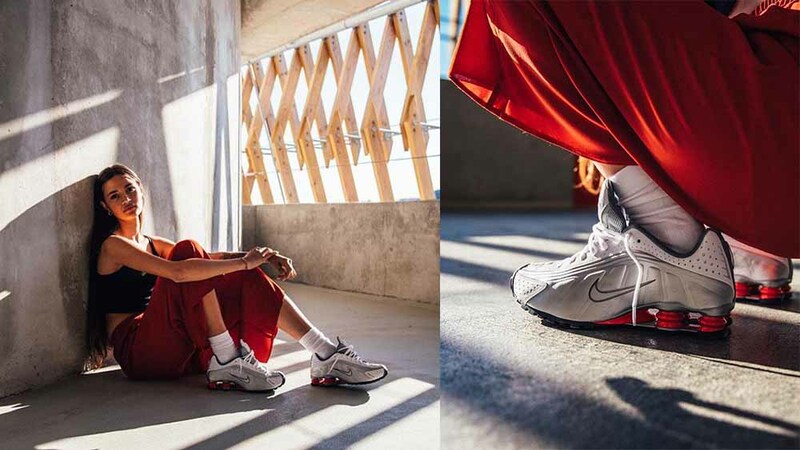 Love them or hate them, Nike Shox are back and taking on the sneaker world. While the noughties aren’t actually *that* long ago, the technology used in these trainers makes them feel super retro and makes us yearn for a time when we were chasing the future. 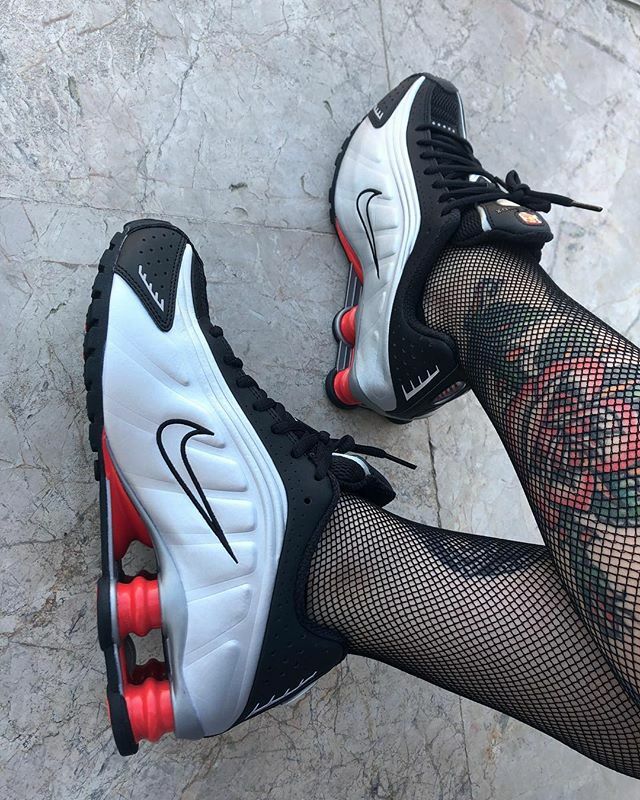 Shox tech was created by Nike, and the Swoosh brand claims that the spring-enhanced Shox trainers absorb heel strike impact and also “spring back” to bring more power to a runners stride. That’s some serious shock absorption there. The shoes themselves are a million miles away from the Air Max Sole unit, and Boost sole technology we’re used to seeing and feeling on our feet nowadays in 2019 – but with the revival of Y2K fashion and deconstructed, utilitarian fashion, if Shox were gonna come back at any time… it’s got to be now! Check out the 4 silhouettes that are available to buy now. Will you be copping, or are the Shox a step too far for you? 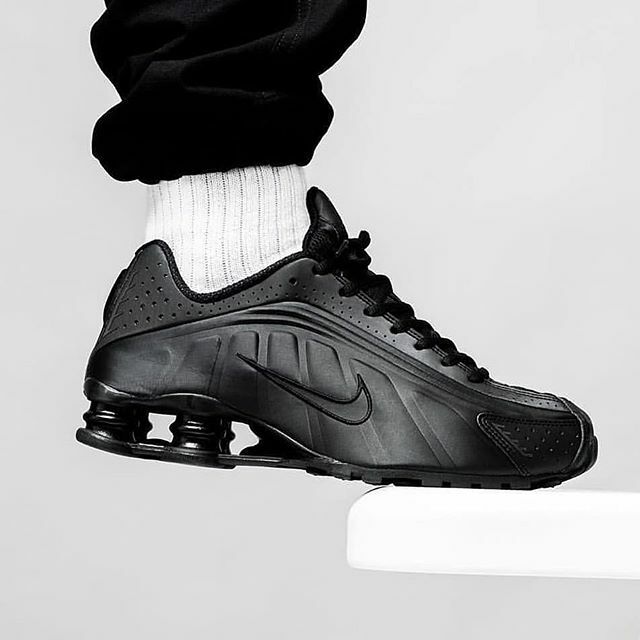 Triple Black will never go out of style, so it you’re up for giving Shox a go, but don’t want to be *too* loud with colour, the smooth matte leather of these will be right up your street. Black Tracksuit Mafia gang – these are for you! This OG colourway is a must have if you want your Shox fit to be as authentic and true to its era as possible. Featuring a leather upper in silver and white, with bright red Shox springs, these are a must have. Head all the way into the future with the other OG colourway available. The black and silver complement each other and take us to the year 3000. Style again with a denim skirt, or for the streetwear heads, opt for a tracksuit with some 3M detailing for extra shine! Again, another Triple Black colourway. 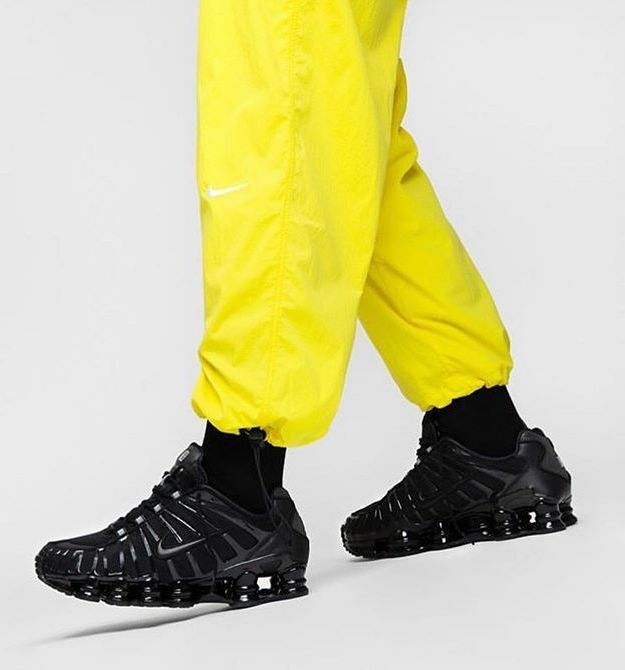 This glossy version features a 3D TPU cage covering the entire foot – combine that with the full length Shox sole unit and they’re basically a retro version of a Nike Air VaporMax Plus! Style with a tracksuit fo baggy cargo pants for a cool deconstructed, utility look. Will you be takign it back to circa 2003 with these Nike Shox? 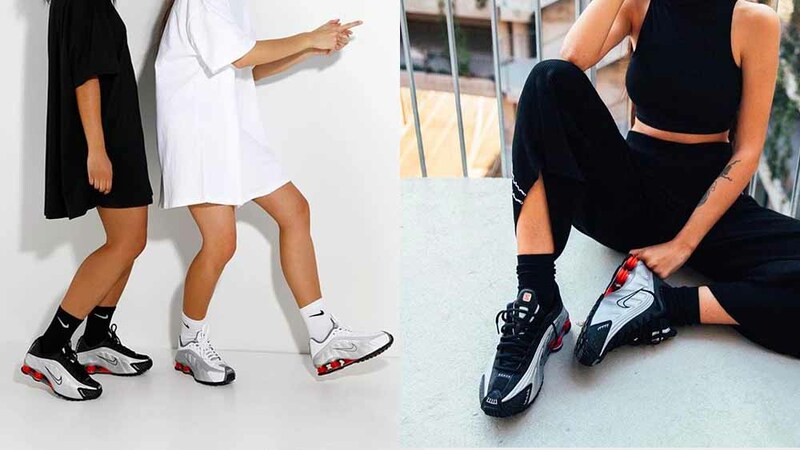 Let us know your opinions on this ‘Marmite Shoe’ and tag @thesolewomens your Shox fits on IG! In the mean time, keep it locked to The Sole Womens for the latest trainer updates, style guides and releases.